Over the years, many surfaces can accumulate mold, dirt, grime, and a variety of other unsightly or unsanitary elements. This can result in an unattractive look to a building, vehicle, or any other concrete surface. Our team at Beehive Cleaning can make these surfaces look as good as new with the power washing services. We know what it takes to make any surface sparkle and that is why our technicians work thoroughly to produce a freshly cleaned surface that looks better than ever. 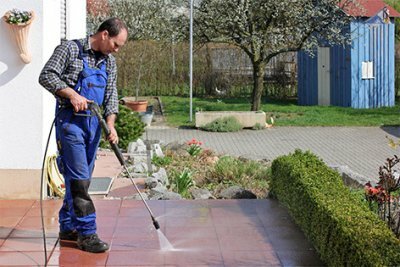 Our dedication to complete customer satisfaction has made us a preferred name in power washing; so rest assured that when you choose us, you’re choosing an unparalleled quality of service that has satisfied customers in the Phoenix area for many years. Get a free estimate by calling us at (480) 648-2567 today!